3GP Converter for Mac is the best 3GP converting software which can help you free convert 3GP/3G2 to any frequently-used video/audio format like MP4, MOV, AVI, MPG, MP3, AAC, etc. on Mac. Convert 3GP/3G2 to MP4/MOV/AVI/MPG/MP3 and other popular video and audio formats with high quality and fast speed. It also enables you to edit video and adjust effects. Convert 3GP/3G2 video to MP4, AVI, MPG, MOV, VOB and other popular video formats with original video quality and fast conversion speed. The 3GP Converter for Mac can help you extract audio track from HD video. 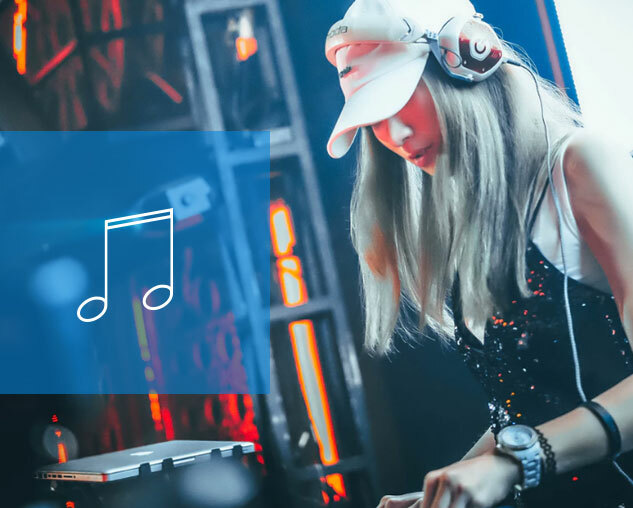 Moreover, it can convert the audio file to your preferred MP3 format. It provides powerful editing functions to edit 3GP/3G2 video and customize its effects. You can get the output video/audio file you really like. If you need to convert your 3GP/3G2 video to MP4, MOV, AVI and other popular video formats, this excellent 3GP Converter for Mac can do you a great favor for free. It supports 6 kind of frequently-used video formats: MP4, AVI, MOV, MPG, WebM and OGV. The converted video will be highly compatible with your portable iOS/Android device like iPhone XS/XS Max/XR/X/8/7/SE/6/5/4, iPad Pro/Air 2/mini 4, iPod touch 6/5, Samsung Galaxy S8/S7 edge/Note 8, LG G5, Sony Z5, HUAWEI P10/Mate 10 and more. 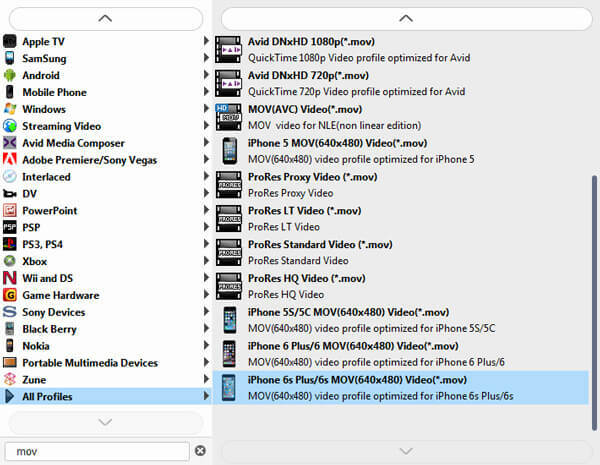 Also, it enables you to convert MP4/AVI/MOV or other video formats to 3GP/3G2. The powerful Mac 3GP converting program has another powerful function to meet people's requirement. With it, you can easily extract the audio files from the imported 3GP/3G2 videos. Moreover, it has the capability to convert the extracted audio tracks to MP3, M4A, AAC and other regular audio formats. You can also use it to convert 3GP/3G2 to lossless audio format like WAV, ALAC, WMA, FLAC and more. 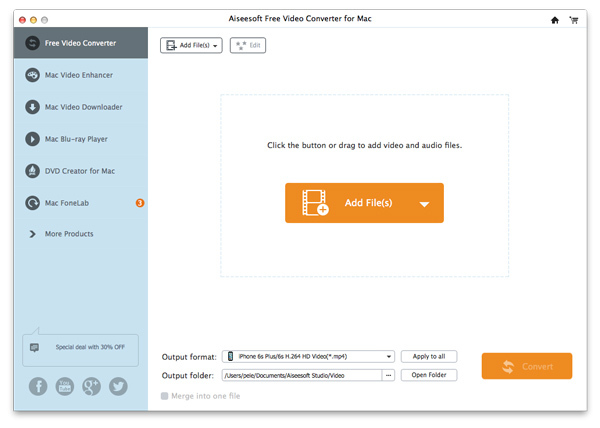 This 3GP Converter for Mac is equipped with multiple editing functions, which allows you to freely customize the output video and audio effects. You can adjust the video's brightness, contrast, saturation, volume and audio volume to satisfy your needs. 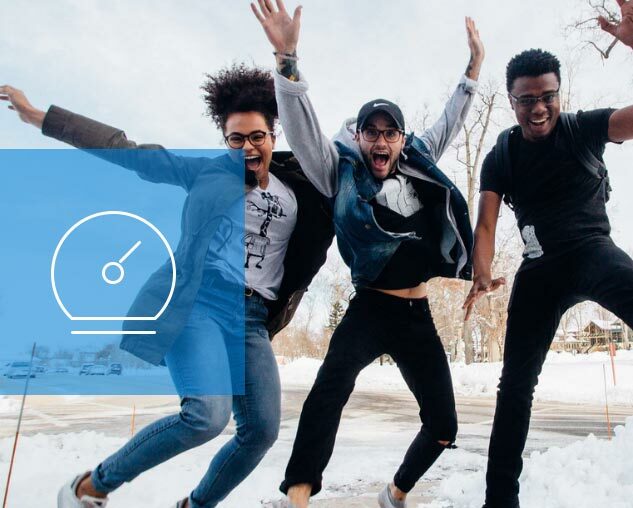 What's more, you are able to crop video to remove the unnecessary part, clip video, merge segments and add personal watermark. You can handily get the fantastic output video/audio effects. With the concise interface and user-friendly design, you can convert 3GP/3G2 to MP4, MOV, AVI, MP3, WAV, WMA and more in just a few clicks. More importantly, the converted video will keep the original 3GP video quality. With the adoption of the latest acceleration technology, it guarantees you a super fast 3PG to MP4/MP3 conversion speed. Simple operations, high output quality and fast converting speed will give you the excellent user experience. Preview the effects of both source 3GP file and converted video while adjusting it. 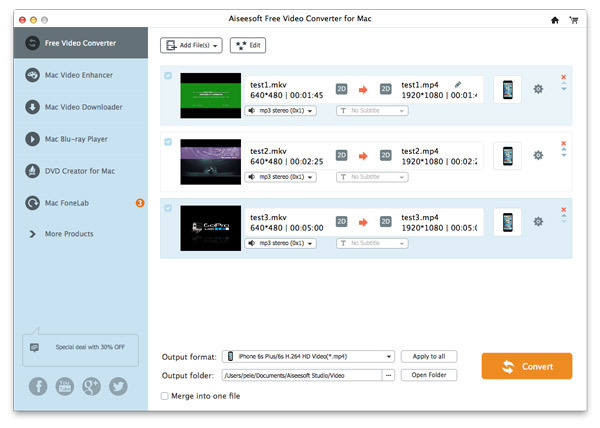 Convert several 3GP to MP4/AVI/MP3 simultaneously to improve conversion efficiency. Various subtitles and audio tracks are provided for you to select according to your need. Support any commonly-used Mac operation system, including the latest macOS High Sierra and macOS Mojave. Step 1. Free download and install this powerful 3GP to MP4, MP3, MOV, AVI, MPG, etc. converting software on your Mac. Step 2. Click "Add File" button to load the 3GP/3G2 video you want to convert. Step 3. 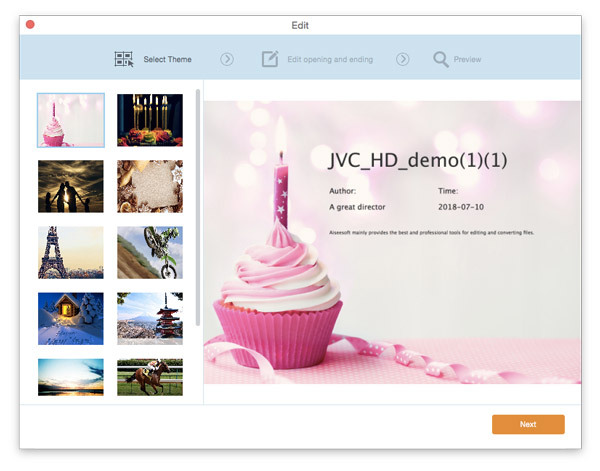 Click "Edit" to add opening and ending title with different images themes and words. Step 4. Choose suitable output format from "Profile", click "Convert" button to convert 3PG to MP4, MOV, MP3 or other formats you need. Easy to convert 3GP videos. I use it to free convert 3GP to MOV for playback on QuickTime Player, and it works very good. Besides converting 3GP to MP4/MP3, I often use its powerful editing features to trim 3GP video into clips and adjust the output video effects. This easy-to-use 3GP video converting software can easily convert 3GP to MP4/AVI for me. 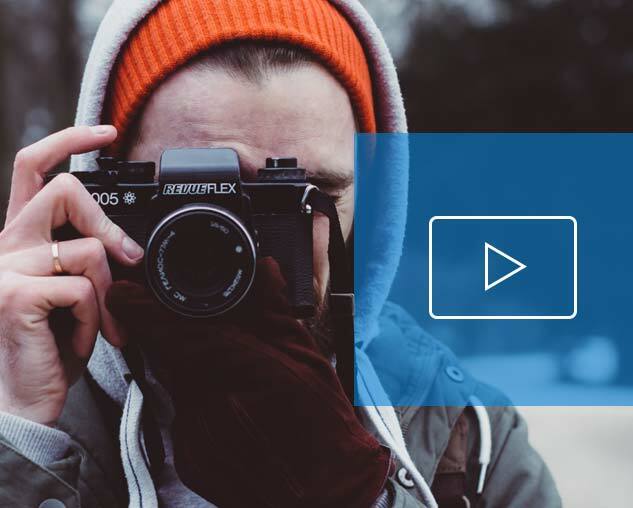 More importantly, the whole conversion process won't lose any video quality. Happy with it! I had a lot of 3GP videos that I cannot convert them with some of the free converting tools on the internet. Finally I choose this 3GP to MP4 converter, and it works great! Convert videos/DVDs, edit video and enhance videos.